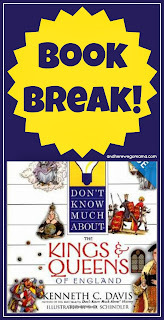 Have time for a quick book break? 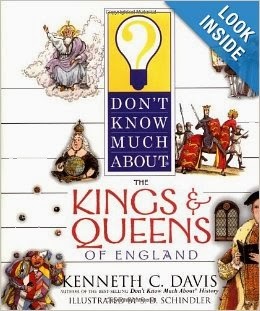 Don't Know Much About the Kings and Queens of England is our absolute favorite book on this subject! I've looked at many books about the English monarchs, and this one is perfect for elementary-age students. It's funny, has great illustrations, and usually uses a one-page spread to cover each monarch. Perfect length! Thanks for stopping by for the Book Break! I plan on having these little breaks every now and then to quickly share with you a book that our family is enjoying. Now, if you're looking for a great way to introduce your kids to the English rulers, go check out this great book! To see more of our family's favorite resources, click below! This page contains affiliate links. Thanks for your support!